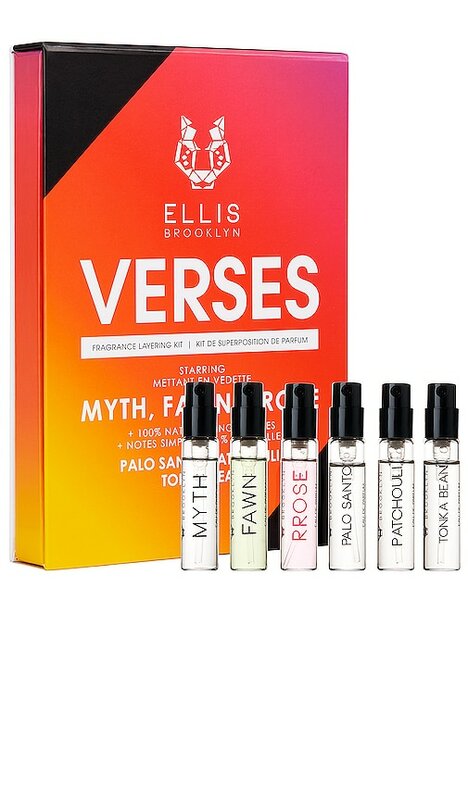 Inspired by the world's greatest music festivals, the Verses kit from Ellis Brooklyn puts the power of fragrance layering in your hands. 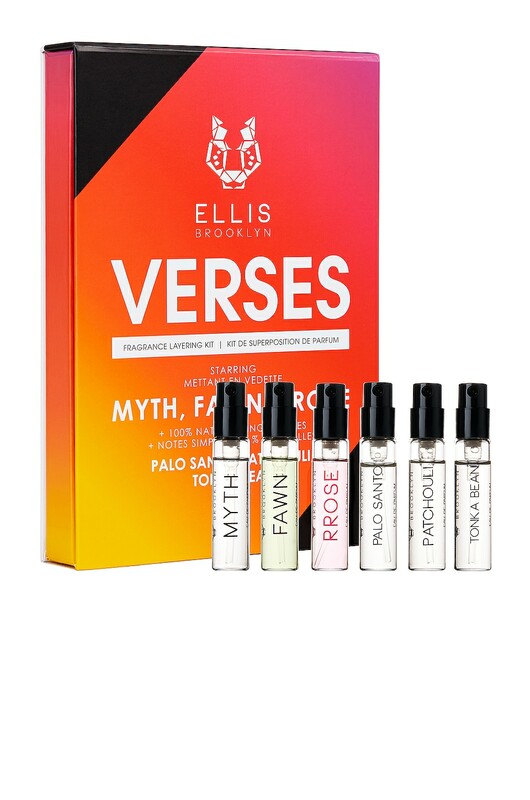 Featuring three best-selling eau de parfums and three natural single notes, this kit allows you to create a customized scent symphony with your own personal combinations. Tonka Bean: SD Alcohol 40B, Water (Aqua), Dipteryx Odorata Seed Extract, Coumarin, Benzyl Alcohol. Palo Santo: SD Alcohol 40B, Water (Aqua), Bursera Graveolens Wood Oil, Isoeugenol, Linalool.